Next to the beautiful Salinas River, the municipality of Salinas California is a picturesque and historic location. Famous as the settting for John Steinbeck’s East of Eden, Salinas is a picture-perfect destination for your next vacation. Visit the National Steinbeck Center and John Steinbeck House to learn through displays and interactive exhibits about the important author who helped make the area so famous. There is also the historic depot site downtown where trains used to carry passengers into the city. If you’re looking for more nature and outdoors, there is the beautiful Natividad Creek Park with wonderful trails for walking and a dog park area. Quiet and charming, Salinas is a serene retreat from the normal rush of life. 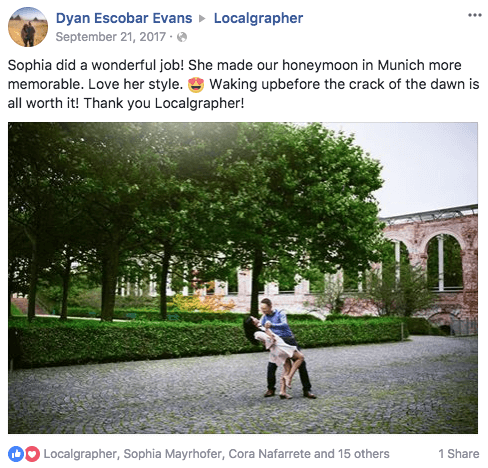 With a professional photographer in Salinas, California, you’ll come away from your vacation with photographs capturing the unique atmosphere and special moments you experience.